British Columbia (B.C.) is Canada's most westerly province, bordered by the Pacific Ocean on one side and the Rocky Mountains on the other. In addition to mountains and ocean, forests dominate British Columbia's geography, creating an overall beautiful landscape to traverse. The vast majority of Canada's population lives within a few hour's drive of the U.S. / Canada border. 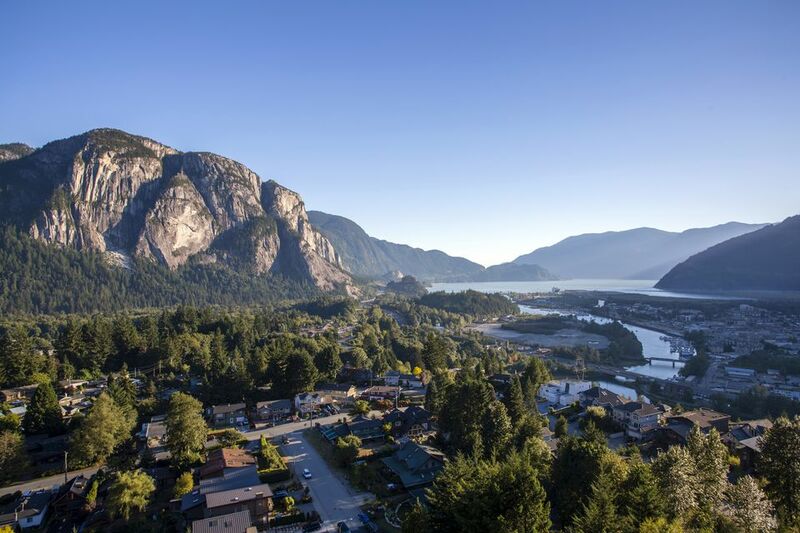 The northern two-thirds of British Columbia is largely unpopulated, extremely mountainous and undeveloped, so our ultimate road trip criss-crosses the province's lower portion, which is home to the most popular and accessible attractions and destinations. Taking to the road is an ideal way to see the epic British Columbia terrain. However, any road trip in unfamiliar territory begins with an education in the relevant driving rules, regulations and overall safety. Driving in British Columbia is much like the rest of Canada and similar too to the United States. The roads are, for the most part, well-maintained, safe and clearly marked, but British Columbia routes are winding and often mountainous. Keep your cell phone charged, and have a GPS. You should also have a safety pack with flashlight, water, extra wiper fluid, etc. Drivers use the right hand side of road. You may not use a cellphone unless it is a hands-free device. If you are a visitor, you can drive in B.C. for up to six months with a valid driver’s license from your country. You may not drive while under the influence of any substance, such as alcohol or drugs, which limit your ability to control your vehicle. Seat belts and car seats appropriate for the age and size of your child are mandatory. Speed limits are posted in kilometers per hour. Common speed limits in B.C. include 30km/hr (20mph) in a school zone; 50km/hr (30mph) in built up areas; 80 km/hr (50mph) on rural roads; 110-120km/hr (70-75mph) on major highways & expressways. The maximum speed limit in BC is 120km/hour (75mph). Visitors should also be aware of the weather conditions, especially between late October and April when winter driving conditions can affect all parts of British Columbia. These conditions may include wet roads, fog, snow and ice. Driving through the Rocky Mountains in winter is not advisable to unskilled winter drivers. Always check the weather forecast and the road report before traveling. For information on current road conditions visit the Ministry of Transportation. If you are flying into Canada and planning to rent an RV or car for your road trip, the most logical place to start is either in the neighbouring province of Alberta or in Vancouver, British Columbia. Seattle, a two hour drive away from the Canada / U.S. border would also be a convenient takeoff point for a drive around British Columbia if you are flying into the U.S. Flying into the U.S. instead of Canada can sometimes be more convenient or affordable. Calgary, Alberta, is a major airline hub and close to the British Columbia border. If you arrive in Calgary and rent a car, you can make a splendid drive to Vancouver via Banff. Camping is an excellent option for accommodation during your trip - if you're that kind of traveller. Campgrounds in British Columbia are abundant but range in service level, from pit toilets and hand pumped water to full washrooms with hot showers and electricity. If you are planning on staying in hotels and lodges, you are advised to book ahead, especially in summer. Large ski resorts remain open year-round. For our Ultimate B.C. Road Trip, we will focus on two areas that can be done independently or combined, using Vancouver as our base: East of Vancouver Loop and Vancouver Island. This east of Vancouver road trip should take between five and ten days (depending on if you include Revelstoke and Golden on your itinerary). First up is the incredible drive from Vancouver to Whistler along the Sea to Sky Highway (hwy 99). Whistler is most famous as a ski destination—one of the best in the world—thanks to two spectacular mountains, Whistler and Blackcomb, that loom a mile above the village. From Whistler, head northeast to Kamloops, (four hour drive). You will see the terrain change from coastal mountains to near-desert. Worthwhile stops along the way include Nairn Falls Provincial Park, Pemperton, and Lillooet, which was a hub of Gold Rush activity in the 19th century and is steeped in First Nations culture. Instead of staying in Kamloops, continue an hour past—still on the TransCanada Highway—to Salmon Arm, which is far more charming. From Salmon Arm, if you have the time, continue east to Revelstoke and Golden, two of British Columbia's most striking destinations and home to epic ski resorts in the heart of the Canadian Rockies. In this region, you can visit hot springs and stunning provincial parks. Because of the mountainous terrain and limited roads, from Golden you are best to turn around and head back along Hwy 1, stopping at the places you missed the first time, like Craigellachie and Sicamous, both sleepy but scenic resort and retirement towns. At Sicamous, head south for Kelowna (a two hour drive), which is the gateway to the Okanagan Valley and its wine region. One of Kelowna's biggest advantages is the fact that sporty travelers will love the wide array of outdoor activities, like hiking, golfing, boating, and more, but the region can still offer excellent wine tasting and culinary experiences. From Kelowna, drive down through Penticton to Osoyoos stopping at any winery that appeals to you. Mission Hill and Quails Gate are two of the better known and visually striking wineries, but there are dozens of others. You're now on the way back to Vancouver along the very southern part of British Columbia. From Osoyoos, jump on Hwy 3, through Hope and on to Vancouver, about a four-and-a-half- hour drive. Known for its rugged, diverse and beautiful geography, moderate climate, and unhurried way of life, Vancouver Island sits just off the mainland of British Columbia. Vancouver Island is home to the provincial capital of Victoria, but—confusingly perhaps—not the province's most populous city, Vancouver. Vancouver Island is fairly big. It takes six hours to drive south end to north end and three hours to drive from mid-Island east side (Nanaimo) to mid-Island west side (Tofino). Four locations on Vancouver Island provide good experiences. Consider visiting the provincial capital of Victoria for perhaps at least two nights, allowing you a half day at Butchart Gardens. Continue on to Parksville (about a two hour drive away) for a night and then on to beautiful Tofino (about a three-hour drive) for a couple of nights. Then, head to Port McNeill and Telegraph Cove for three nights. Tofino is wilderness with forests, trails, beaches (pretty cold for swimming, but stunning), with an adorable town and hippie vibe offering great food and activities such as whale watching, black bear viewing, and sea kayaking. Victoria has plenty to do for two full days, from museums to whale watching. Parksville has a wonderful beach, with flat sand that extends far at low tide and is excellent for swimming. There are plenty of attractions and activities to do in that area. Consider renting a kayak and perusing the shoreline by water. North Island will provide you with grizzly bear day tours by boat, whale watching, sea kayaking, and cultural history.